The flag of the Dominican Republic is a reflection of the nation's heritage that dates back to the middle of the 19th century. 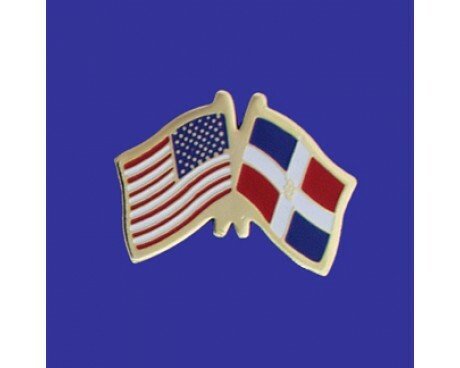 It holds a special significance because it is one of only three national symbols that the Dominican government has authorized for formal use. 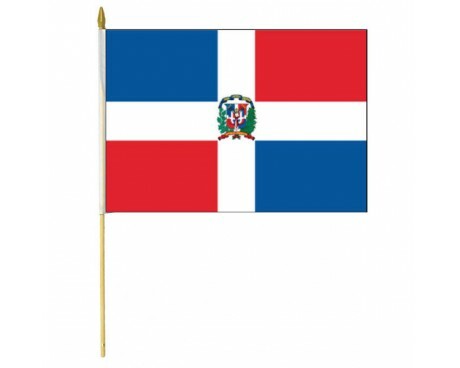 The design used for the flag of the Dominican Republic is specified in the country's constitution. It displays a white cross that holds the national coat of arms and divides the field into four sections. Two of those sections are dark blue, while two of them are red. The blue portions represent liberty, the red portions represent the blood of the nation's heroes, and the white stands for salvation. The cross is a symbol of the nation's religious heritage and a convenient way to divide the field into sections. 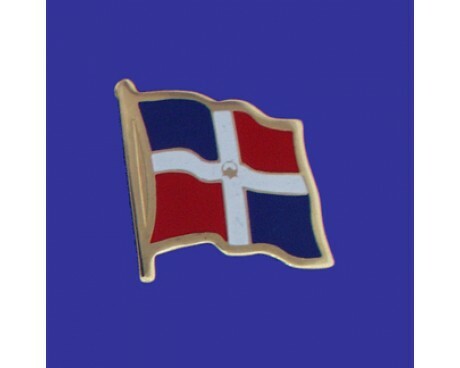 The country's coat of arms received pride of place in the center of the Dominican Republic flag. It features a shield with the same color scheme as the flag nestled between two bay leaves. The shield displays an image of the Christian Bible that is open to the Gospel of John and nestled between two sets of three spears. Two spears on each side support Dominican banners that resemble the Dominican Republic flag. Every flag of Dominican Republic has featured the same color scheme of red, white, and blue. The first flag was adopted in 1844, and it featured the same white cross that can be found on the modern flag. 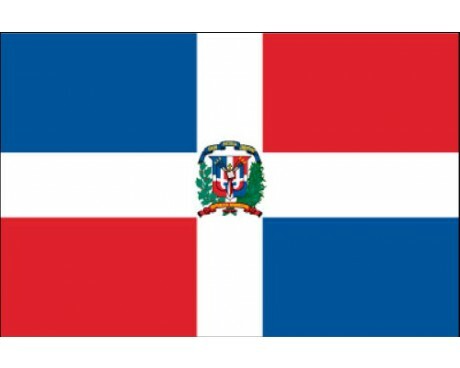 It lacked the Dominican coat of arms, and it arranged the colored sections such that both blue squares were at the top of the flag and both red squares were at the bottom, in contrast to the modern design which arranges them diagonally. That flag of Dominican Republic was only used for five years before it was replaced by the modern design in 1849. The Dominican Republic uses many other flags to represent individual members of its governments and for specific civil uses, but almost all of them incorporate the national flag in some way. Many of them display it in the canton, which ensures that even the most minor flags of the Dominican Republic are easy to recognize.